Emerson Process Management introduces a new range of wireless pressure transmitters designed to deliver two process variables in a single installation. 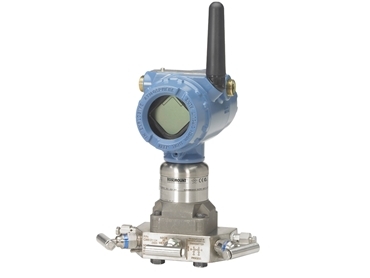 The Rosemount 3051S MultiVariable wireless pressure transmitter helps users gain greater insight into their process without increasing installation costs, making it a highly cost effective and reliable way to monitor assets. When there are a higher number of devices in a facility, there will be a corresponding increase in the required cost and time investments for installation, scheduled maintenance and downtime. The Rosemount 3051S MultiVariable wireless pressure transmitter enables users to simplify installation and maintenance routines. The transmitter’s ability to measure differential and static pressure allows users to reduce pipe penetrations and impulse piping along with their associated costs. The static pressure sensor is available as either true gage or absolute, which allows for reduced maintenance and calibration costs. Backed by Emerson’s proven experience in Smart Wireless field instrumentation, users have instant visibility to their measurements through a non-intrusive WirelessHART monitoring system. Rosemount 3051S wireless transmitters can be used to monitor more assets throughout facilities with greater than 99% reliability and at 40-60% cost savings over wired installations. The Rosemount 3051S MultiVariable wireless pressure transmitter delivers a decade of maintenance-free performance with a 10-year stability specification.